Kastis Automotive is owned and operated by Mike and Paula Kastis. Kastis Automotive first began as Kastis Exxon at the corner of Nacogdoches and O’Connor Road from 1992 until 2008. In 2009 Kastis Automotive happily reopened at a new location on Cattleman street, just a few blocks away from their original location. 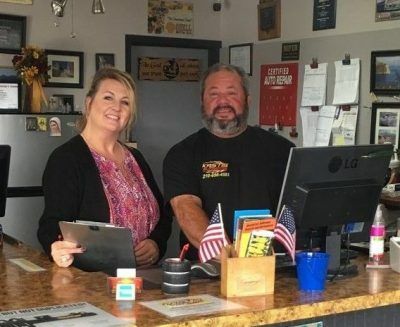 Kastis Automotive has been family owned and operated since it first opened in 1992 and has an incredible reputation for honesty and reliability. We appreciate all of our loyal customers and hope you will be one as well! If you’d like to learn more about Kastis Automotive, drop by the garage and say hello. We’d be happy to provide the same care to you and your vehicles as we have for so many of your neighbors!